BlackBerry angled keyboard in development? | BlackBerry Blast! BlackBerry Blast! > News > BlackBerry angled keyboard in development? BlackBerry angled keyboard in development? It seems that RIM is developing an angled keyboard for upcoming BlackBerry models. 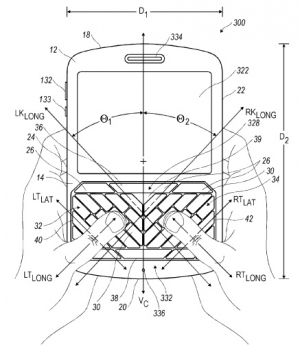 engadget is reporting that recent patent filings by RIM indicate the new angled keyboard is in the works. The purpose of the new keyboard is to gain a more natural feel for your thumbs thereby increasing the accuracy of typing. The patent filing does not necessarily mean RIM will actually ship a device with the angled keyboard. It does mean they are still working on various ideas that they think will improve their devices.